This collection of new essays by leading film scholars addresses Michelangelo Antonioni as a pre-eminent figure in European art cinema, explores his continuing influence and legacy, and engages with his ability to both interpret and shape ideas of modernity and modern cinema. This collection of new essays by leading film scholars addresses Michelangelo Antonioni as a pre-eminent figure in European art cinema, explores his continuing influence and legacy, and engages with his ability to both interpret and shape ideas of modernity and modern cinema. On the centenary of Antonioni's birth, this volume places his work in a variety of new contexts: transnational cinema; conceptual photography; intermediality; thing theory; rubbish theory; microhistorical urbanism; the theory of the picturesque; and the theory of style. 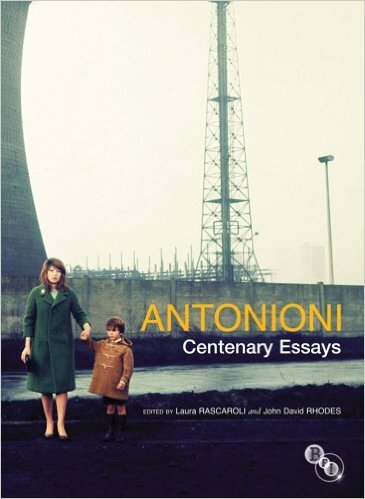 On the centenary of Antonioni's birth, this volume places his work in a variety of new contexts: transnational cinema; conceptual photography; intermediality; thing theory; rubbish theory; microhistorical urbanism; the theory of the picturesque; and the theory of style. Laura Rascaroli; John David Rhodes; Jacopo Benci; Francesco Casetti; Alexander Garcia Duttmann; David Forgacs; Roasalind Galt; Robert S.C. Gordon; Matide Nardelli; Karen Pinkus; Leonardo Quresima; Laura Rascoroli; Angelo Restivo; Karl Schoonover.